In June 2017, National institute of Posts, Telecoms, and ICT, known as NIPTICT had been certified as an EC-Council’s Accredited Training Partner. NIPTICT intends to launch the full range of Information Security certified training programs, ranging from fundamental to specialist, focusing on cybersecurity for both the private and public sectors of Cambodia. One key objective of this partnership is to provide cyber security skills training to working professionals as the cybersecurity is a growing industry with huge career prospects. The Professional Training Center has plan to conduct the first training course of Cybersecurity in mid-August this year. The purpose of offering these training courses are to develop essential competences, new techniques and methods that are essential when facing possible security issues. 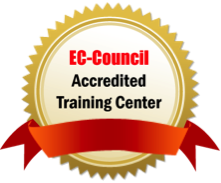 EC-Council has been the world’s leading information security certification body since the launch of their flagship program, Certified Ethical Hacker (CEH), which created the ethical hacking industry in 2002. Since the launch of CEH, EC-Council has added industry-leading programs to their portfolio to cover all aspects of information security including EC-Council Certified Security Analyst (ECSA), Computer Hacking Forensics Investigator (CHFI), Certified Chief Information Security Officer (CCISO), among others. EC-Council Foundation, the non-profit branch of EC-Council, created Global CyberLympics, the world’s first global hacking competition. EC-Council Foundation also hosts a suite of conferences across the US and around the world including Hacker Halted, Global CISO Forum, TakeDownCon, and CISO Summit. NIPTICT is a research and training institute founded by the Ministry of Posts and Telecommunications of Cambodia (MPTC). It is a newly established institute, found in January 2014. Our mission is to develop highly qualified and committed professionals in the field of posts, telecommunications and ICT who will play a leading role in the development of Cambodia and its integration into the ASEAN Economic Community. NIPTICT is committed to become a premier public research and training institution in Cambodia and in the region by providing state-of-the-art education, research and training in the fields of posts, telecommunications and ICT. © Copyright 2016 NIPTICT. All Rights Reserved.